The world’s energy needs are changing. Consequently, the way energy is produced also changes. As a result, the resources needed to power our lives need updating. Case in point: batteries will one day overtake oil as humanity’s primary fuel. 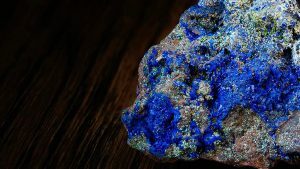 This explains why investing in cobalt is set to increase. There are a number of reasons for this. Firstly, cobalt is a primary component in Lithium-Ion batteries. Along with lithium, most consumer electronics rely on it. 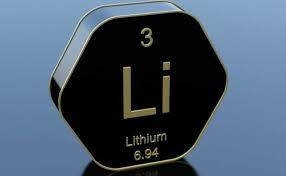 Secondly, lithium mines have sprouted rapidly in recent years. The world is in the midst of ramping up lithium ore projects. Primarily, South America’s lithium triangle hosts most mining and exploration. Argentina, Chile and Bolivia host nearly 50% of global lithium supplies. Additionally, Australia has invested heavily in hard rock lithium mining. Not surprisingly, this shift is fueled by a call for sustainability. Most developed countries have passed legislation in favour of clean energy technologies. Similarly, multinational corporations have invested billions in R&D tech that mitigates waste. Now, the world’s largest automakers follow suit. General Motors has gone green. Meanwhile, Porsche has offered 2 years of free charging to Taycan owners. Dyson has announced EV plans while Apple’s on the fence. Ultimately, the plans are endless and audacious. However, they confirm that global transportation is changing for the better. As always, market watchers are forced to speculate what this means. Annual global electric vehicle sales approach 3%. What’s more, battery power will fuel China’s centrally planned economy. Granted, only rich countries have witnessed much change. However, emerging economies like India and Indonesia plan on being production hubs. Nevertheless, the writing could be on the wall. Norway proves that plug-in cars are no fad. Over 30% of 2018 Norwegian vehicle sales were electric. Surprisingly, a global lithium shortage beckons. The same could happen to cobalt. It appears the mines sourcing these raw minerals will be busy for years to come.